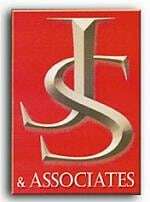 At the law firm of Jacqueline A. Scott & Associates, we provide effective, caring legal representation in a personal setting. Our attorneys are dedicated to protecting the rights of our clients and provide quality legal services in an efficient and affordable manner. For more than 25 years, attorney Jacqueline Scott has been helping clients obtain compensation for their injuries, bring wrongful death claims and defend against their criminal charges. Individuals throughout the Bossier City-Shreveport, Louisiana, area trust Ms. Scott to provide strong legal representation and trusted legal counsel no matter what type of legal challenge they are facing. For more information, or to schedule a consultation, contact our law office today.